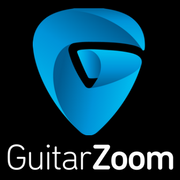 As long as you're sure, then please contact GuitarZoom Member Support by sending a support ticket or call us at +1 (901) 466-8822. The team will check with shipping if your course has already shipped. It's highly possible your DVD course has shipped out already, as courses are usually shipped before the end of business day. If not, then they can go ahead and refund your order. If it has shipped, then you would need to return the course back to us so we can apply the refund.